One pot meals are the secret weapon in the battle of weeknight dinner. By the end of preparing this meal, I only had one pot to wash and a cutting board to place in the dishwasher. I love that! 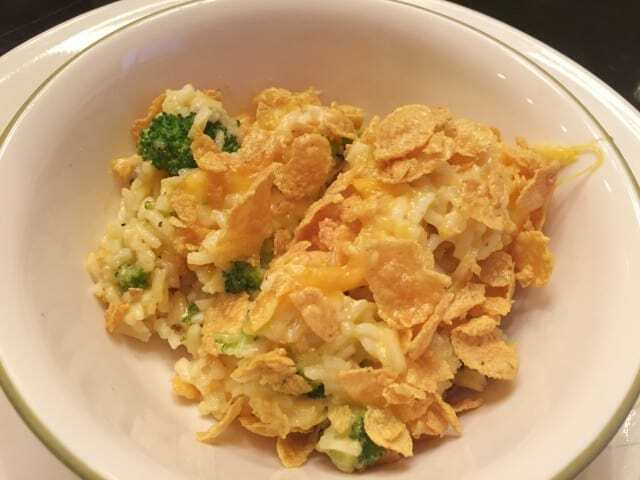 This dish combines the gooey creaminess of cheddar cheese with the tender broccoli and filling rice that are seasoned with just the right amount of flavor to take it to savory. I opted to not include chicken, although you surely could, so this gives a nice option for a “meatless” meal (aside from the chicken broth) which is always refreshing to throw into the mix of busy weeknight dinners. I love that this recipe requires little to no prep work. 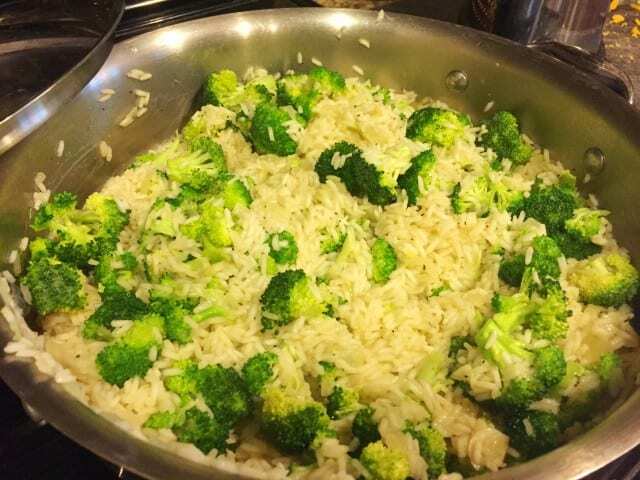 The broccoli and rice cook in the pot and makes the flavors meld into each other, creating perfection. 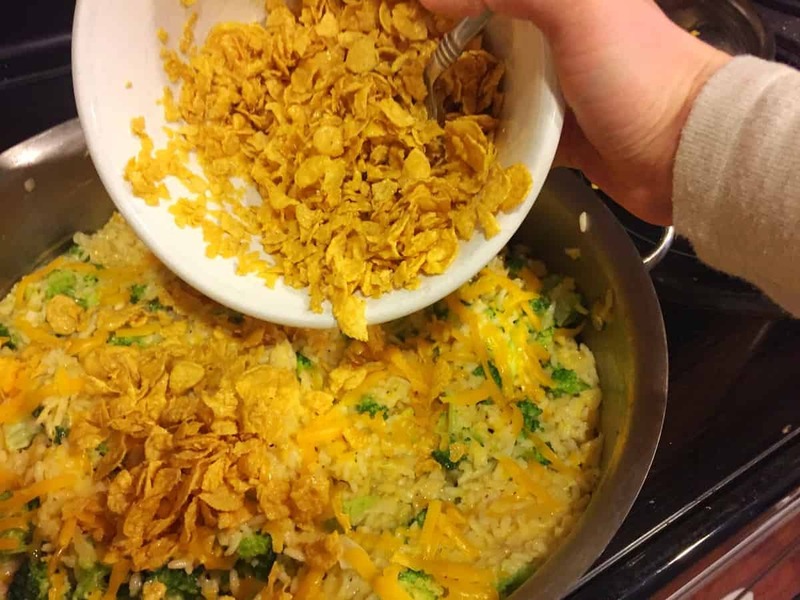 I personally love the crunch of corn flake topping on any type of casserole so I felt that this recipe was no exemption. After cooking everything on the stove top, I added on the corn flake mixture and popped in under the broiler for a few minutes until it was a golden brown. My family raved about it and it will certainly be visiting us again soon. In a large oven-safe skillet or pan, sauté onions in 3 tablespoons of olive oil over medium heat until they begin to be translucent. Add the garlic and cook for about 1 more minute. Drizzle in another tablespoon of olive oil and then add the uncooked rice and saute for a few minutes until some become slightly golden brown. Pour the chicken broth into the pan and bring the mixture to a boil. Lower the heat to simmer, cover with a lid and cook the mixture for about 12 minutes. Stir in the broccoli florets and stir into the rice to combine and then cover back with the lid. 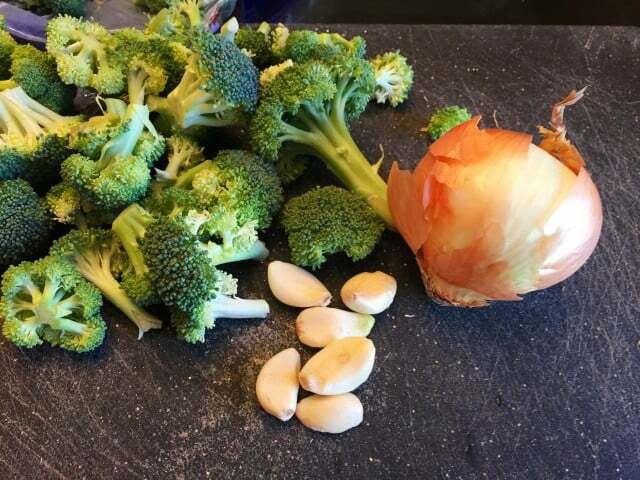 This will allow the broccoli and rice to continue cooking and become more tender. After about 5-8 minutes, remove from heat and then stir in 3 cups of cheese and the cream to add moisture. Sprinkle the remaining amount of cheese over the rice. For the topping, you will want to melt 3 tablespoons of butter in a bowl and then add the crushed cornflakes. Stir to incorporate them and then sprinkle over the entire pan. Turn on your broiler to high and put the pan into the oven for a few minutes, watching to make sure it does not burn. Enjoy! Next Post: Motherhood is Filled With Firsts. What Are Your #PampersFirsts?